Winter: 09:30 to 17:00 h (Sun 09:00 to 14:00 h). Summer: 09:00 to 18:00 h (Sun 09:00 to 15:00 h). Winter: 07:00 to 22:00 h.
Summer: 07:00 to 24:00 h.
Tue, Wed, Thu and Sat from 10:30 to 12:45 h and 16:00 to 17:45 h.
Friday from 10:30 to 12:45 h.
Sundays and	holidays from 11:00 to 13:45 h.
Holidays from 11:00 to 13:45 h.
Sundays and holidays from 09:00 to 15:00 h.
From Tuesday to Friday from 11:00 to 18:30 h.
Saturdays from 11:00 to 13:30 h.
Guided tours: Saturday and Sunday, each half hour from 10:00 to 14:00 h.
Winter (Oct-Apr): 09:00 to 21:00 h.
Summer (May-Sep): 09:00 to 22:00 h.
Opening at 10:00 h. Closing time by month: Jan-Feb 18:00 h, Mar 19:00 h, Apr 20:00 h, May-Jun-Jul-Aug 21:00 h, Sep 20:00 h, Oct 19:00 h, Nov-Dec 18:00 h.
Important: It only opens on weekends. 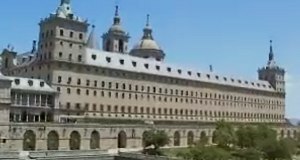 Oct to May: 7:00 to 23:00 h.
Jun to Sep: 7:00 to 1:00 h.
The Royal Monastery of San Lorenzo de El Escorial. It's a complex that include a basilica, royal palace, monastery. San Lorenzo de El Escorial is located in the Sierra de Guadarrama. About 45 km (28 mi) northwest of the city of Madrid. 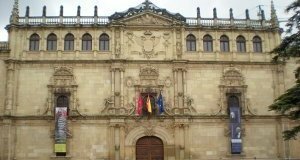 Alcalá de Henares's historical centre is one of UNESCO's World Heritage Sites. It's essentially medieval, with many winding cobbled streets, and many historic buildings. About 35 km (22 mi) northeast of the city of Madrid. 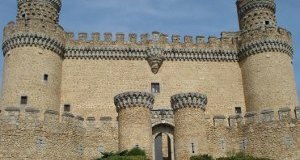 The Castle of Manzanares el Real is a palace-fortress erected in the 15th century in the town of Manzanares el Real. Manzanares el Real is a small town in the northern area of the Community. About 49 km (30 mi) northwest of the city.